Over 1,200 Haj pilgrims left from Delhi for Saudi Arabia in three flights yesterday. NEW DELHI: This year's Haj would be a "landmark" pilgrimage for Indians as several reforms such as doing away with subsidy and women going without a male guardian are associated with it, Minority Affairs Minister Mukhtar Abbas Naqvi said today. The first batch of 410 Haj pilgrims was flagged off from here by Naqvi yesterday. Besides Delhi, 450 pilgrims from Gaya, 269 from Guwahati, 900 from Lucknow and 1,020 pilgrims from Srinagar also left for Saudi Arabia for Haj. Speaking to PTI over phone from Saudi Arabia, Indian Consul General in Jeddah Mohammed Noor Rahman Sheikh said he, along with the Indian Ambassador to Saudi Arabia Ahmad Javed, received the first batch of pilgrims in Madina. Naqvi said here that despite the abolition of the Haj subsidy, the cost of the pilgrimage has increased only marginally and there was "no undue burden" on the people. "People used to think that with the abolition of the subsidy, Haj would become 3-4 times costlier, that has not happened. If there is an increase, it is marginal," he told PTI in an interview. The government had in January announced that there would be no subsidy for Haj from this year and the funds saved would be used for providing education to the people belonging to minority communities. "It would be a landmark Haj as several reforms are associated with it from subsidy-free Haj to women without Mehram going for Haj, and also this pilgrimage is taking place under the new Haj policy," Naqvi said. The Union minister said that for the first time after Independence, a record 1,75,025 Indians would be going for Haj this year, of whom about 47 per cent are female. He also pointed out that this was the first time that without Mehram or male guardian, women are going for Haj. Asked about the opposition parties' criticism that the government should not take credit for the Mehram issue as it was made possible after the Saudi government changed its rules, Naqvi said this was "factually incorrect" as there was never any ban from the Saudi side and the Indian government had barred women from going for Haj without Mehram. Women without Mehram used to go from Pakistan, Iran, Malaysia and many other Islamic countries, he said. "We asked the Saudi government to which they said they had not barred it, only women should be above 45 and they should be in a group of four (to go without Mehram)," the minister said. Indian Consul General Sheikh said that for the women who are travelling without Mehram, arrangements have been made in exclusive accommodations so that their security is ensured and special facilities can be made available to them. Another notable feature of this year's pilgrimage is that out of the 600 Haj coordinators and assistants, 100 are women, Naqvi said. Talking about the facilities for the 1,28,702 Haj pilgrims travelling through the Haj Committee of India, Naqvi said transportation has been improved, the lodging, especially at Arafat, has been made more comfortable, and medical facilities have been boosted. Sheikh said all preparations were complete and this time extensive use of technology had been made to facilitate a comfortable Haj with new features added to the Haj App being used by Indian pilgrims from 2014. He said this year accommodations are much better as in Madina they had inspected the places before hiring them which earlier was not the practice. Asked about his message to Haj pilgrims, Naqvi said the Saudi government always praises Indian pilgrims, so they must follow the norms and perform Haj successfully. On efforts to revive the option of sending pilgrims for Haj by sea, Naqvi said the government was trying to make it operational by next year. "That is why we have floated a global tender. Some offers are coming from Singapore, Saudi Arabia, India and other countries. Process is on and we want that the 2019 Haj takes place by ship as well," he said. 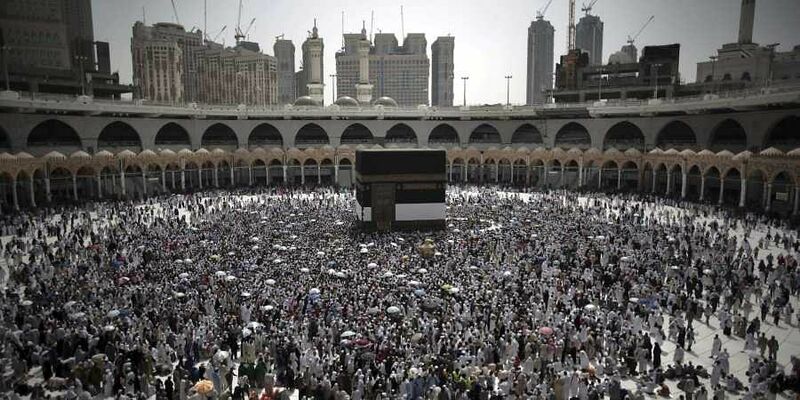 On Tuesday pilgrims from Kolkata, on July 20 those from Varanasi, on July 21 from Mangalore, on July 26 from Goa and on July 29 pilgrims from Aurangabad, Chennai, Mumbai and Nagpur, will embark on Haj. On July 30, pilgrims from Ranchi, on August 1 pilgrims from Ahmedabad, Bangalore, Cochin, Hyderabad and Jaipur, and on August 3, pilgrims from Bhopal will go for Haj.